Remember when Justin Sun urged Ethereum developers to jump ship and join the Tron ecosystem? Well, that was clearly a not-so-subtle declaration of open war by the Tron CEO against the Ethereum ecosystem. Or more broadly, against all competitors in the dApp arena including EOS. Fast forward a few months and the numbers from ground zero now indicate that Tron is winning pretty convincingly. The week ending March 9 was particularly outstanding for Tron, having registered a 207% growth in weekly transaction volume. At $180 million, it stayed way ahead of the rest of the pack with EOS going down 28% to $102 million and Ethereum marginally improving its stand to accumulate just under $25 million. Expectedly, the Tron CEO took to Twitter to celebrate the success of the platform, and (presumably) to rub it in on the rivals by showing how Tron is currently out of their reach by quite some margin. Just like he often does. Worth mentioning here is that Tron’s decentralized app network saw considerable growth in transaction volume after the launch of Odyssey 3.5. For those out of the loop, the Odyssey upgrade was basically a hard fork that brought along a slew of improvements including up to 50% boost in network performance, heightened security, dynamic energy adjustments, and multi-sig features, to name a few. Over the next couple of weeks, dApp development and usage rapidly grew on the platform. And just as many had expected, it quickly overtook EOS, one of the most well-funded blockchain networks, in terms of both growth and transaction volume. Tron’s superior performance is not just limited to transaction figures. As of press time, at least 255 Tron-powered dApps are performing significantly better than their counterparts on rival platforms. More importantly, that gap seems to be only widening with time, which is possible only because more and more developers and end-users have been flocking to the Tron ecosystem over the past few weeks. According to new data from dApp analytics platform, DappReview, Tron decentralized apps bagged around 33,000 new users in the week ending March 9. That amounts to an impressive 64% week-on-week growth. Ethereum came second by scoring 20,000 new users in the same period, followed by EOS at third with 15,000 new users. However, when it comes to actual usage, things don’t look all that well for Ethereum. According to a recent report by blockchain research firm LongHash, only one in 10 Ethereum dApps see any usage at all on any given day. As for Tron, despite the phenomenal growth, its decentralized app ecosystem is still quite young, which also means that the growth prospects are practically limitless for the platform. The plan for Justin Sun and the Tron community at this juncture is to expand the ecosystem big enough to accommodate at least 2,000 dApps by the end of 2019. 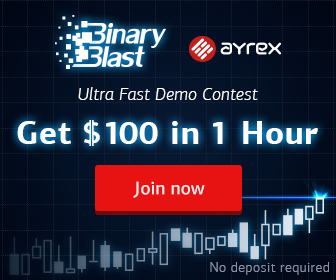 Do you think Tron will become virtually undefeatable for the foreseeable future if that happens? Do let us know in the comments below. 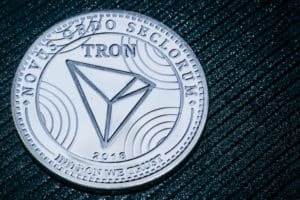 Love It or Hate It, Justin Sun’s Tron Is Winning the Dapp War Hands Down was originally found on copy trading cryptocurrency | Blockchain News | Bitcoin News | blokt.com.